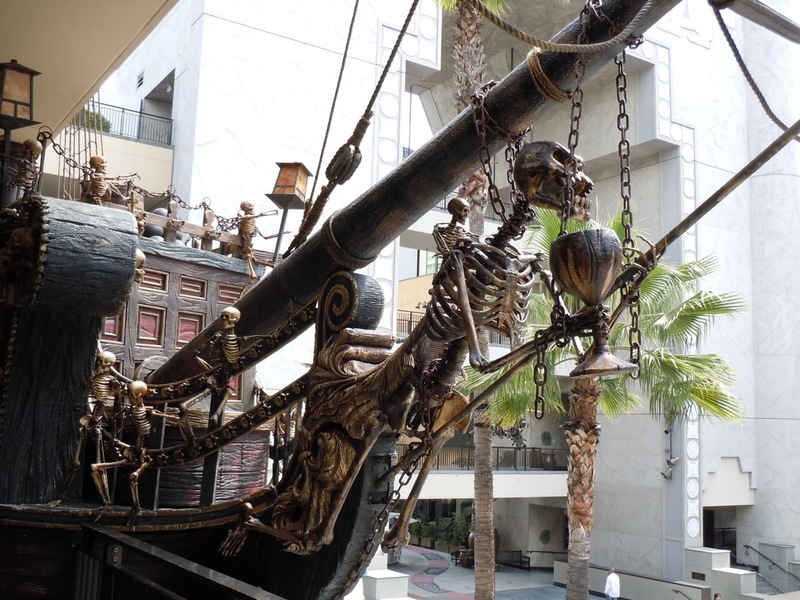 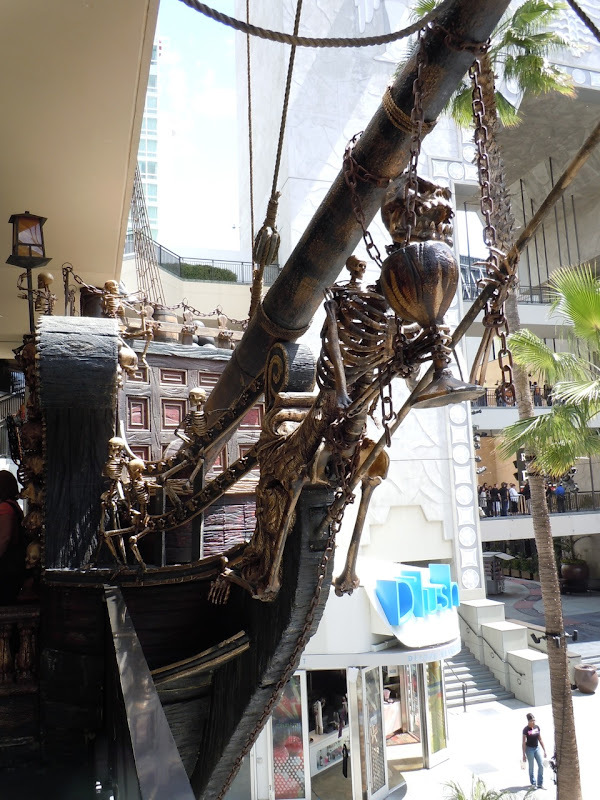 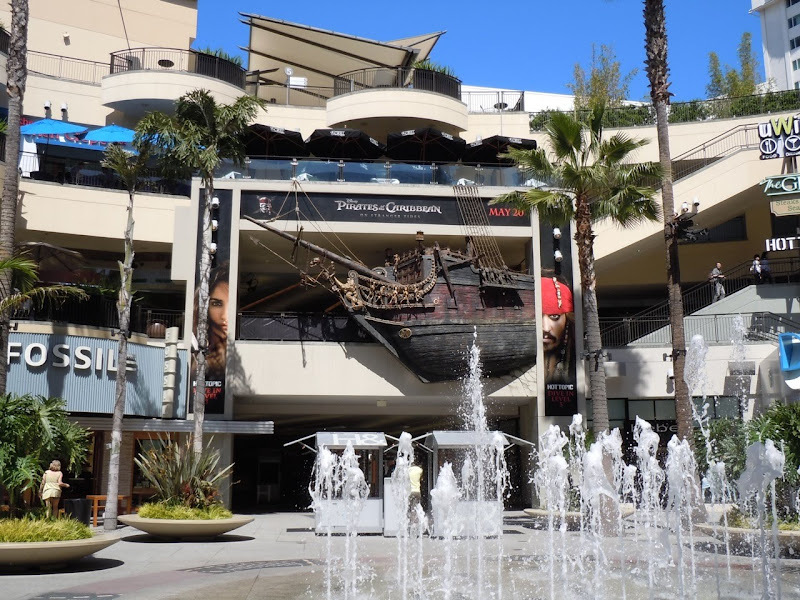 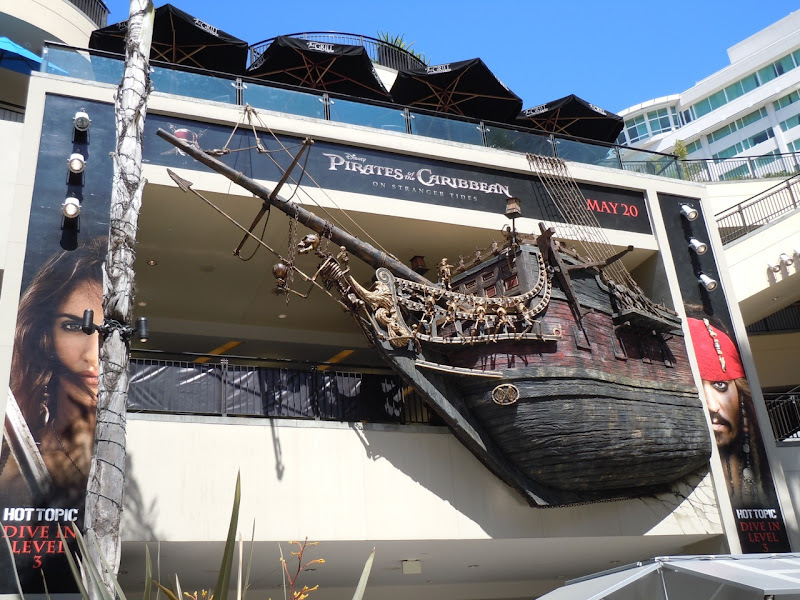 From all appearances it looks like Pirates of the Caribbean: On Stranger Tides has taken over the Hollywood & Highland Center, from the spectacular pirate galleon ship hanging from the balcony to themed window displays at the Hot Topic store and Johnny Depp's 'Captain Jack Sparrow' costume within. 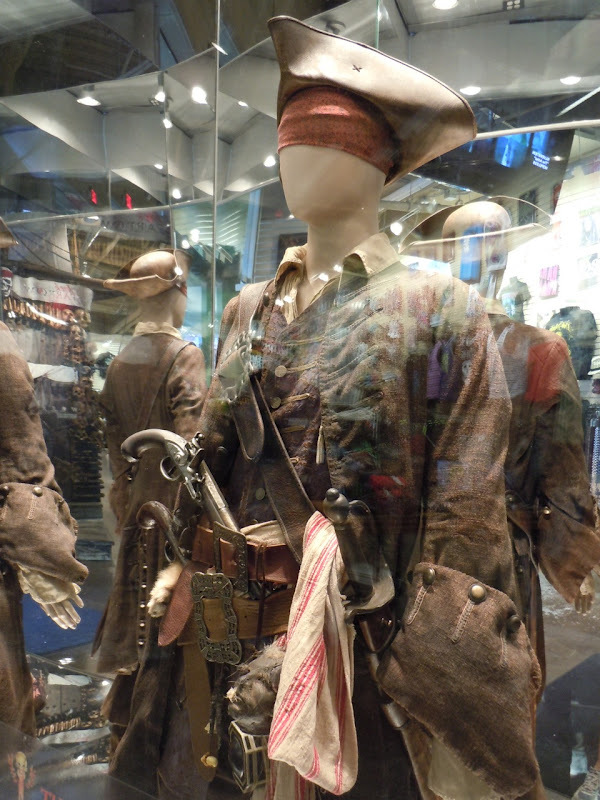 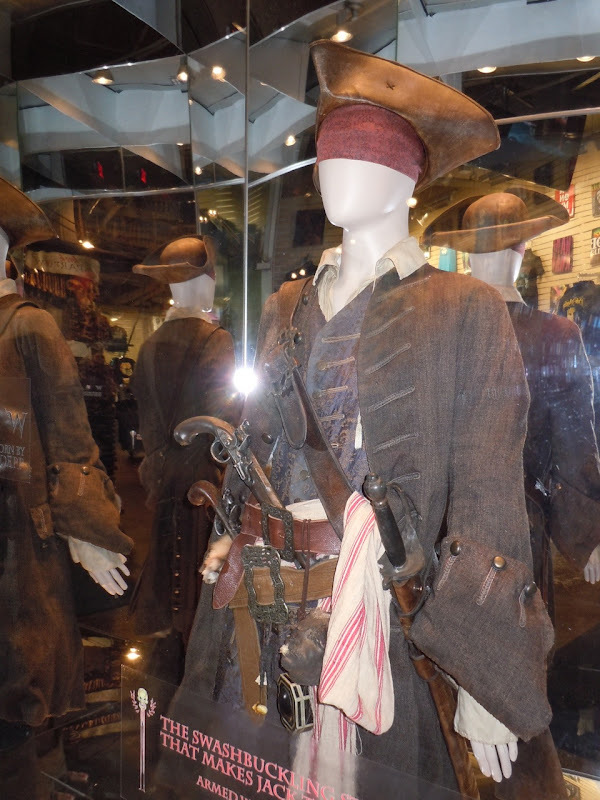 This actual costume from the fourth installment in Disney's Pirates of the Caribbean movie franchise based on their popular theme park attraction was designed by Penny Rose and was photographed at the Hot Topic store at the Hollywood & Highland Center in L.A. on May 9, 2011. 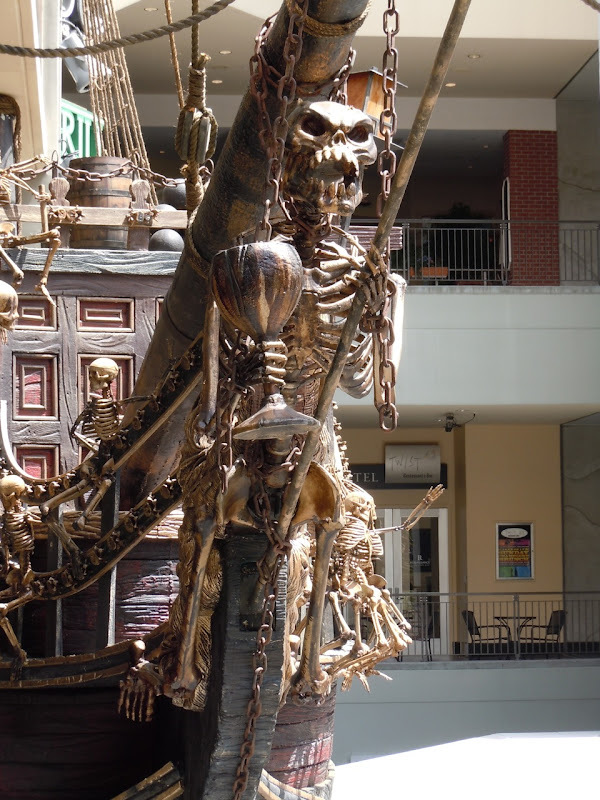 I also love the wonderful piece of visual theatre that this replica of Blackbeard's Queen Anne's Revenge pirate ship provides, it's incredibly detailed and is a great advertisement for the forthcoming movie. 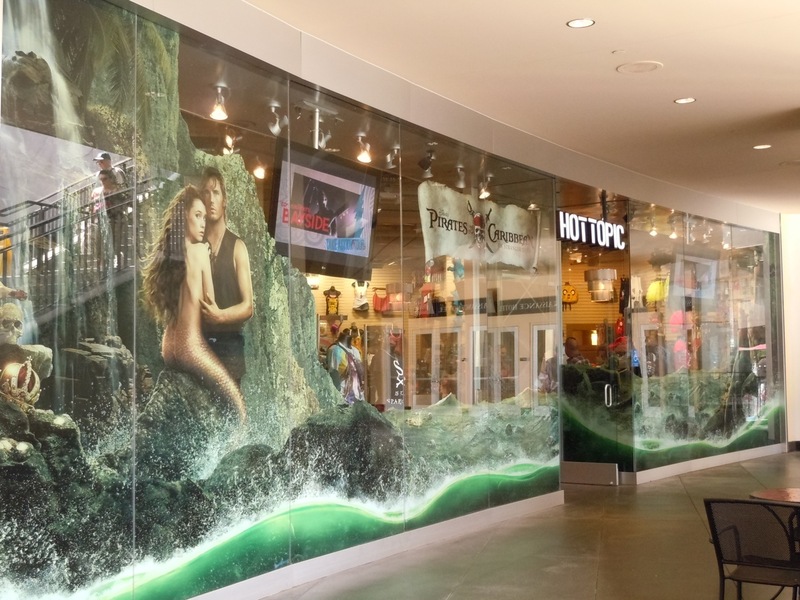 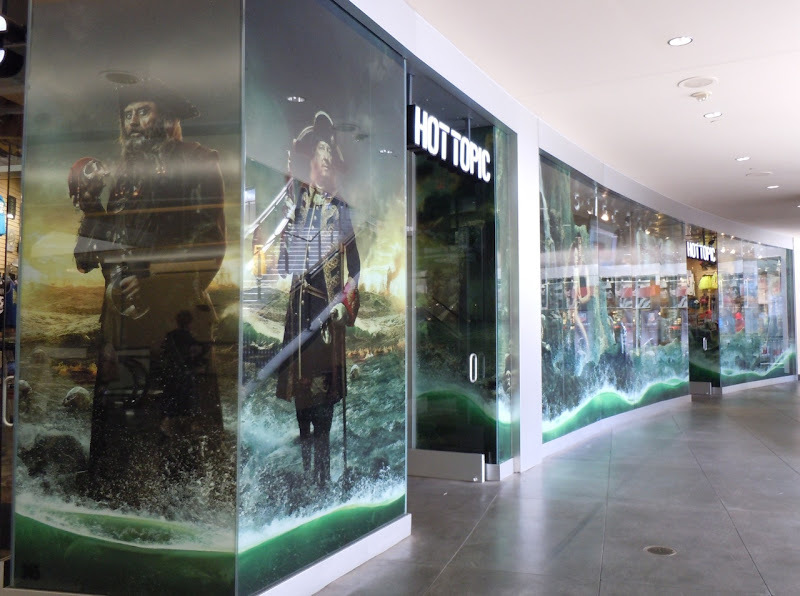 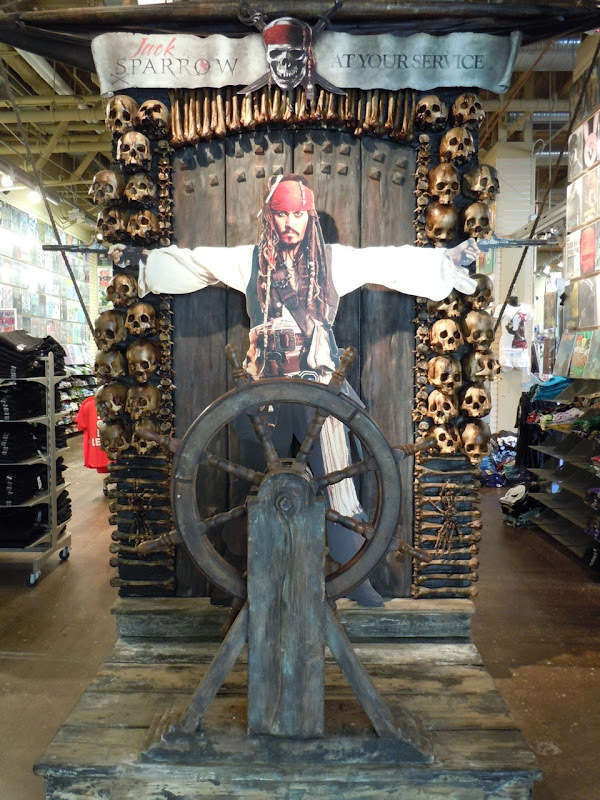 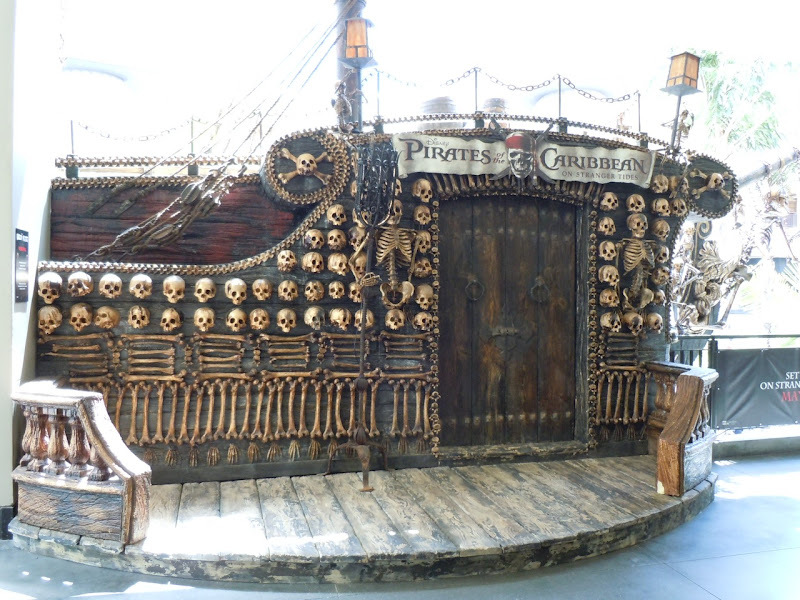 In addition to the nearby pirate ship, the Hot Topic retail store has also been decked out in pirate paraphernalia for the movie inside and out. 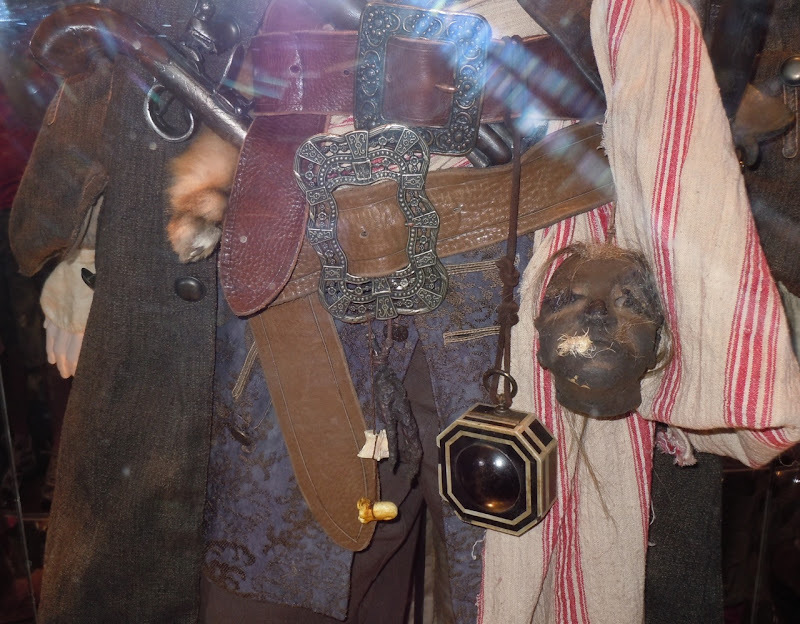 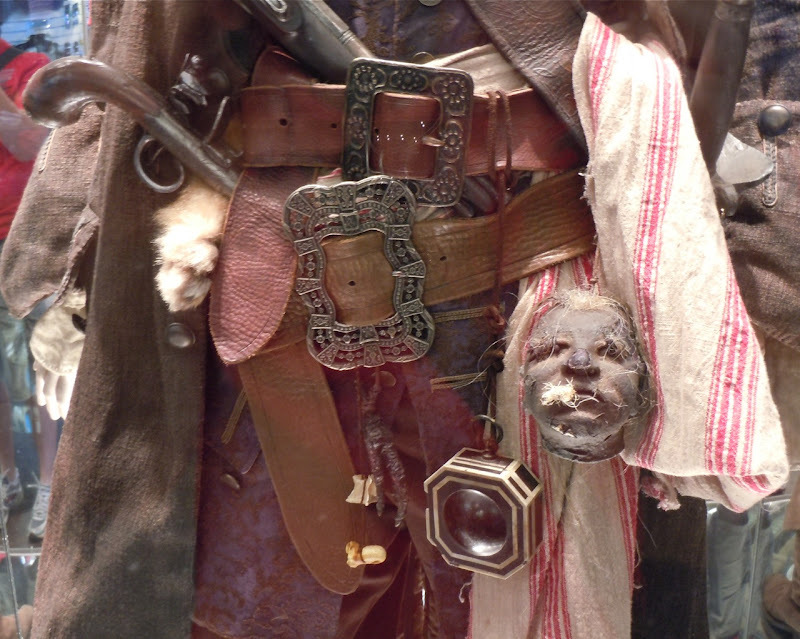 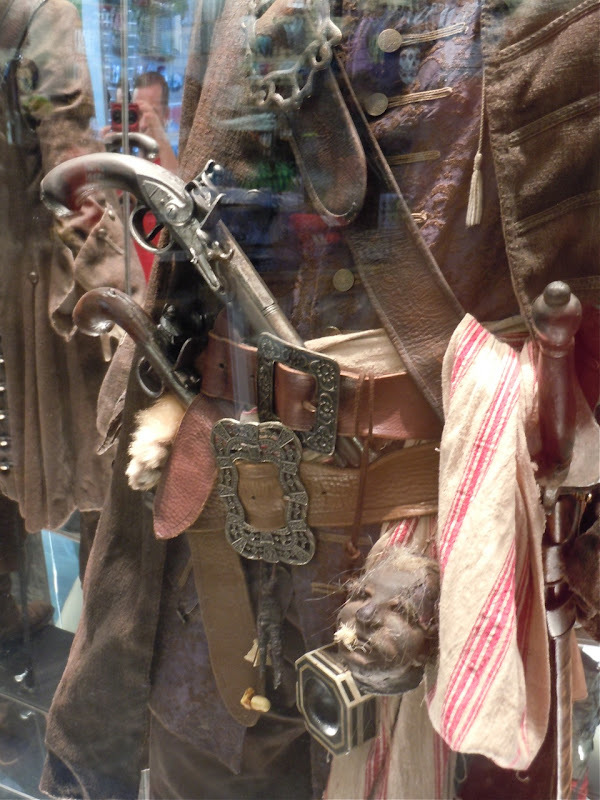 This mirrored display case inside the store made the costume hard to photograph, but here are some more detailed photos showing some of Captain Jack Sparrow's accessories like his pistols, compass and even a shrunken pygmy head attached to his belt. 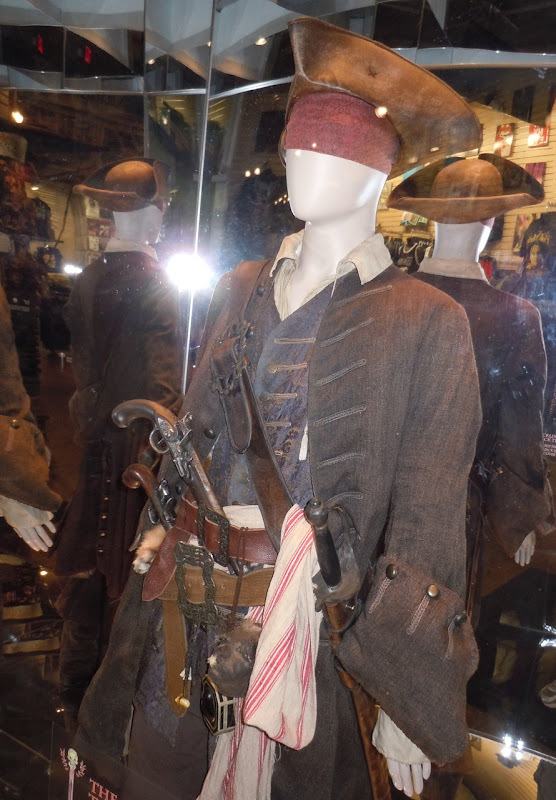 I'm hoping that when the movie is released on May 20, 2011, to get some clearer images of his costume on display at the El Capitan Theatre in Hollywood. 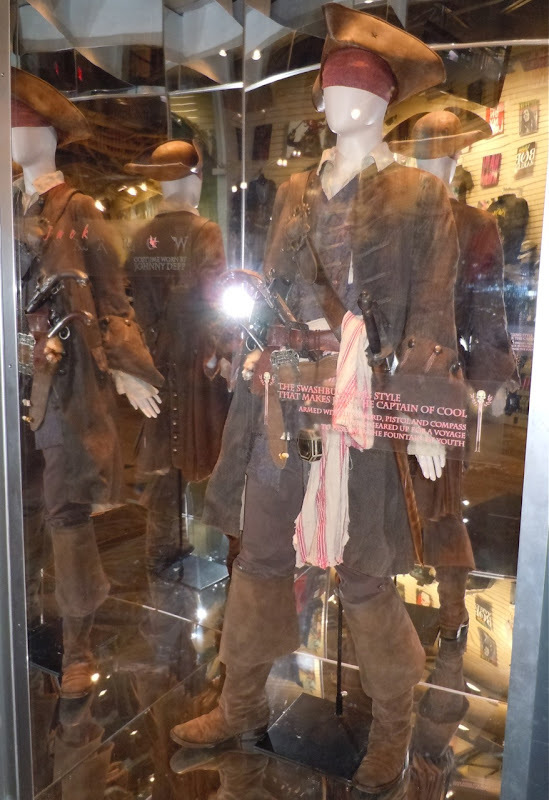 Finally check out this short video of the costume on display. 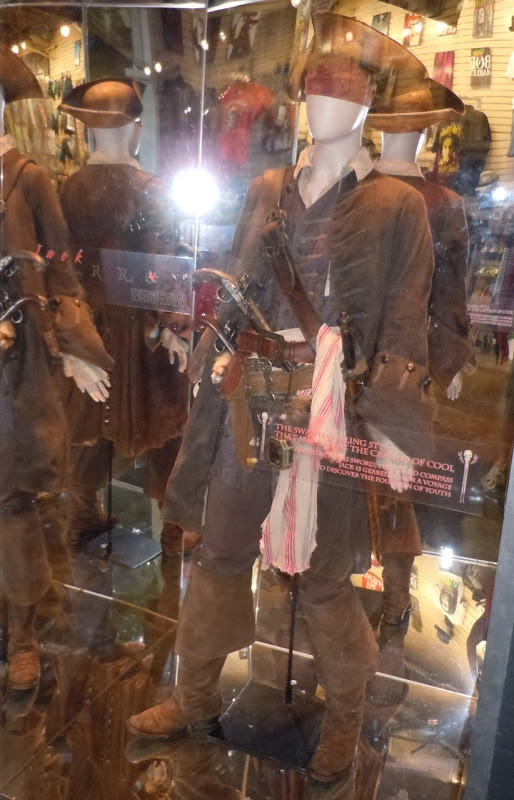 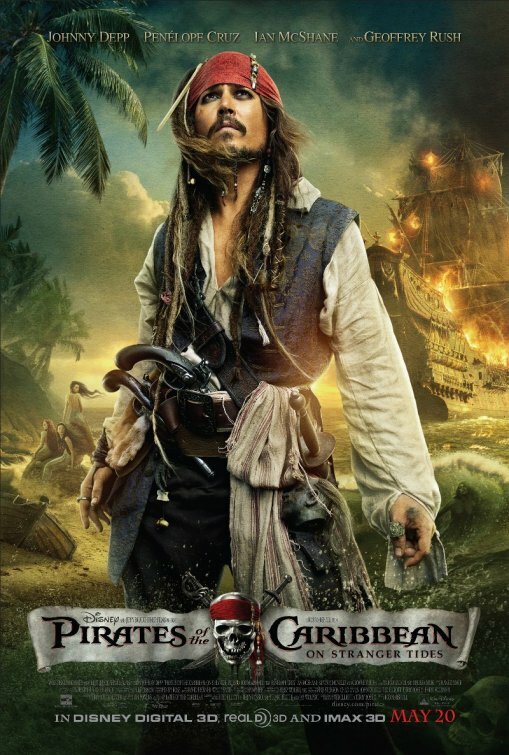 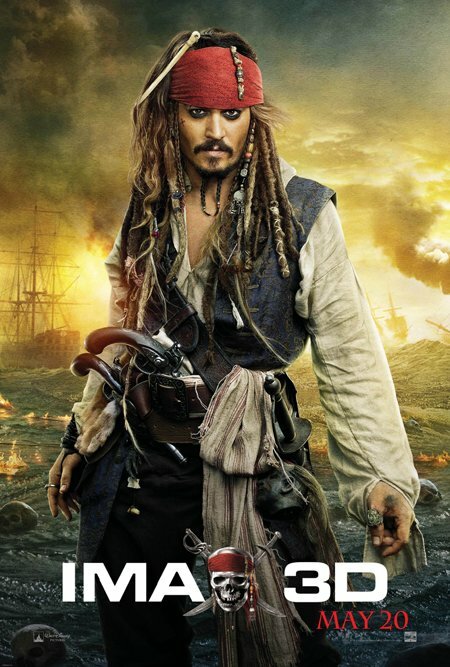 Be sure to also check out Geoffrey Rush's new Captain Barbossa costume from Pirates of the Caribbean 4. 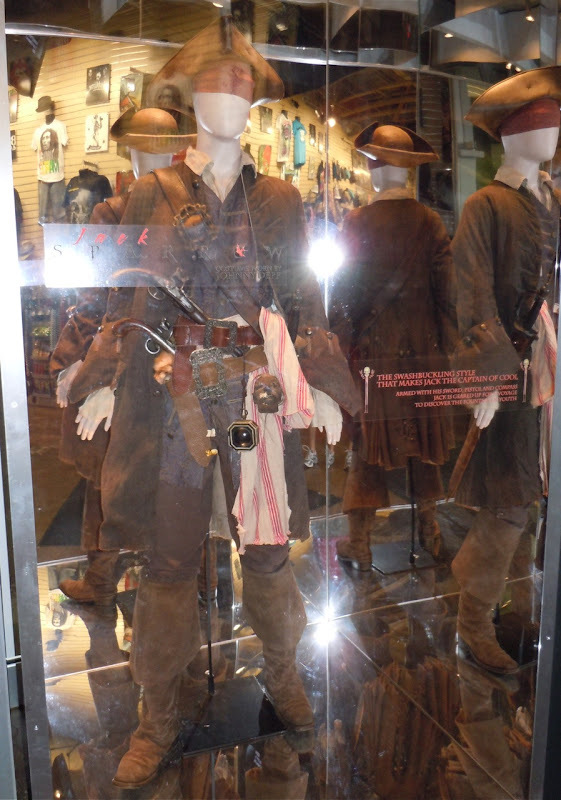 If you're a Johnny Depp fan be sure to check out his Mad Hatter costume from Alice in Wonderland. 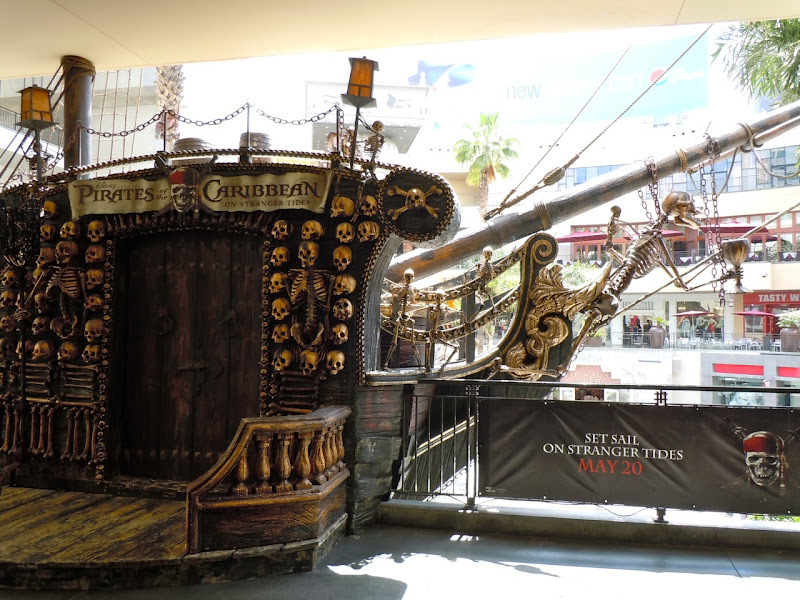 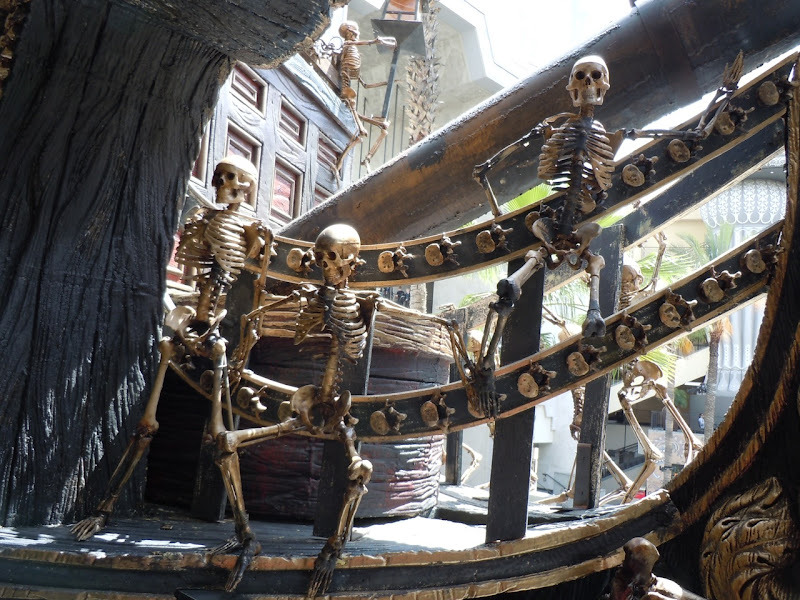 Wow, that's quite a display (the replica of Blackbeard's Queen Anne's Revenge). 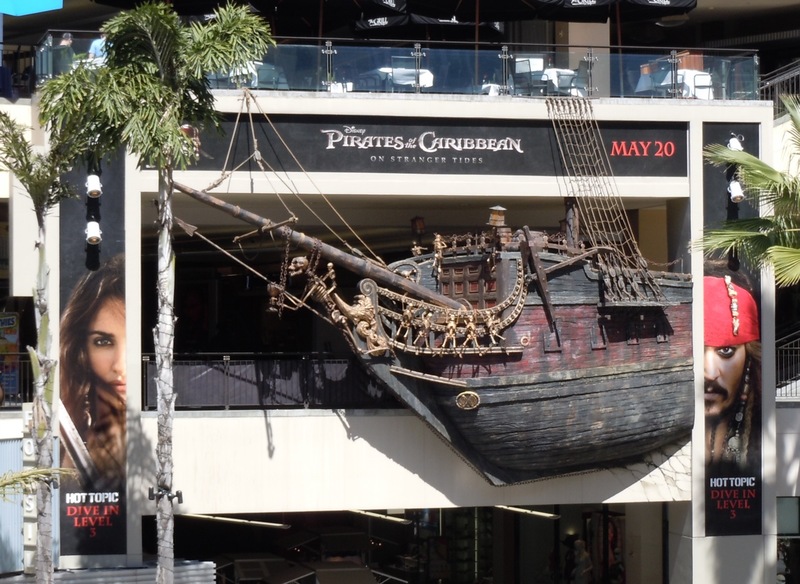 They really went all out for promotion. 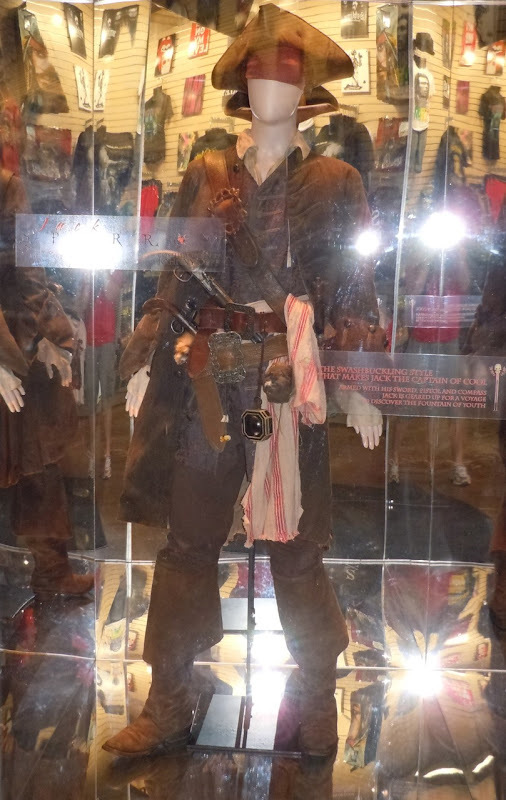 It's amazing to see all the little details on Jack's costume that you miss in the film.